How is the property purchase process in Vietnam? Foreigners are able to rent property in Hanoi Vietnam for long-term as they want but not allowed to own land. In fact, even citizens are not allowed to own land. In Vietnam, land is theoretically collectively owned by the people, but regulated by the State. HOW TO BUY A HOUSE OR LAND IN VIETNAM? Foreigners who are living in Vietnam may purchase houses in Vietnam for the expressed purpose of dwelling in it. By Vietnamese law, land is a national good, so you can only own the structure built on a property, not the land that it is on. You can enjoy a “land use right” for up to 50 years. This duration can be renewed. Also note that if you’re married to a Vietnamese citizen or a Việt kiều, you will have the same ownership rights as Vietnamese citizens. Seek professional advice to ensure that all steps are properly taken to ensure a troublefree property transfer. Alternatively, according to Vietnam’s Housing Law, every foreigner who has a Vietnamese visa stamp on their passport can buy a property in Vietnam. However, if you enjoy diplomatic or consular immunities and privileges, this does not apply. Besides individuals, foreign companies, branches, representative offices of foreign companies, foreign investment funds and branches of foreign banks that are operating in Vietnam are also entitled to purchase property of residential projects. What are the limits of foreigners’ rights on residential property in Vietnam? The law states that foreign individuals and entities may only buy, receive or inherit apartments and houses in commercial projects and not in areas that limit or ban foreigners. Although the limit of one property per foreigner has been repelled, the new Housing Law sets a limit on the proportion of foreigners who may live in a determined area: the total number of units owned by all foreign buyers must not exceed 30% of the units in one apartment building, or 250 landed property units in one ward. The duration of the tenure is supposed to be equal to the land use right owned by the developer, most likely 50 years, with an option to extend the land use right at the end of it. The exact conditions for the extension are still unclear and will be detailed in further regulations. An expatriate may lease his/her property for any purpose that is not banned by law, but he/she must inform the provincial house management agency before leasing the property. In this case, he/she is subject to Vietnam’s property taxes. If you are an overseas Vietnamese or if you are married to a Vietnamese citizen, you are entitled to a freehold tenure on the property. If you bought it, you could of course decide to live in the house but also lease it or pass it through inheritance to someone else without any difficulties. To lease it, you will need an administrative authorisation from the Housing Department of the People’s Committeewhere your property is located. Can foreign-invested enterprises purchase residential properties in Vietnam? 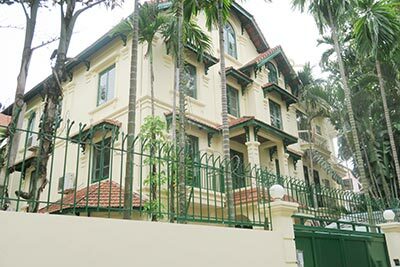 Foreign-invested enterprises that operate in Vietnam under the investment law but are not engaged in real estate, can purchase residential houses for their employees. They must possess investment certificates or written certifications of investment activities as appropriate to investment forms specified by the investment law granted by a competent Vietnamese state agency. They can buy properties to house their employees, but are not able to use them for leasing or other purposes. What are the steps to purchase a house in Vietnam? 1. Once you have chosen the property, you will have to sign a reservation agreement. This legally links the buyer and seller and may include paying a deposit to the seller. Examine closely the reservation agreement before paying the deposit. It prescribes that if the buyer changes his mind, he will lose the deposit, and if the seller changes his mind, he will have to pay twice. You’re well advised to notarise this document to protect your interest. 2. Due diligence is the next step. You will check the reliability of the seller by examining their ID or registration certificate along with the property’s certificates (for example the ownership certificate). You should also ask for a bank guarantee or insurance to ensure the seller is trustworthy. 3. Once due diligence has been satisfied by both parties, they confirm their engagement and interest by signing the housing contract. - Is it stated that the seller has the ownership certificate of the apartment and does he give a guarantee over this ownership? - Is the apartment also a security for a loan? - What are the responsibilities of the seller in case of dispute over the apartment ownership due to his fault? - Methods used for payment? - What are the responsibilities for tax and fees? - What is the delivery time? 4. Paying taxes and fees. Normally, if there is no other agreement between parties, the buyer pays the registration fee and the seller pays income tax. The payment shall be made at the tax department of the district where the house is located. 5. The last step is to apply for an ownership certificate. Both parties can agree on how to handle issuance of the new certificate, although it is most likely that a buyer will have to take it up.